Made of quality polyester fabric, fully lined, non-sheer and non-stretchable. 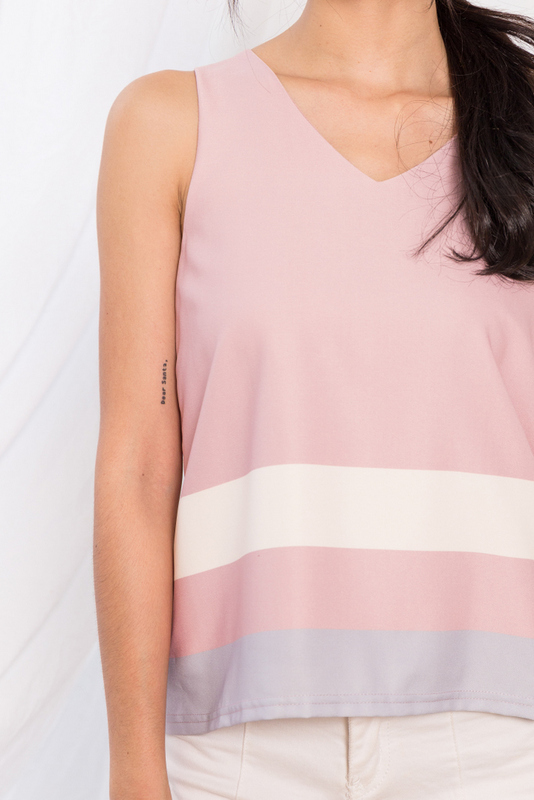 Features colourblock details in complementing shades of pink, grey and white. Comes with a v neckline. Complete with a concealed back zipper. Worn in a loose fit.